There are two things that India and our friendly neighbours, Pakistan (watch the film and you will know why I call them a friendly nation), share in common – Cricket and Bollywood films. And both abundantly feature in debutant Nitin Kakkar’s ‘Filmistaan’, a film that for its gripping narrative and entertainment has won the National Award for the Best Feature Film in Hindi. Having made a round of prominent film festivals, Filmistaan doesn’t boast of starry-names, yet features the greatest of Bollywood stars that have charmed one and all with their movies. It’s probably a cinematic experience that leaves a lump in your throat and leaves you moisty-eyed, especially when you see so many similarities of people from the other side of the fence. 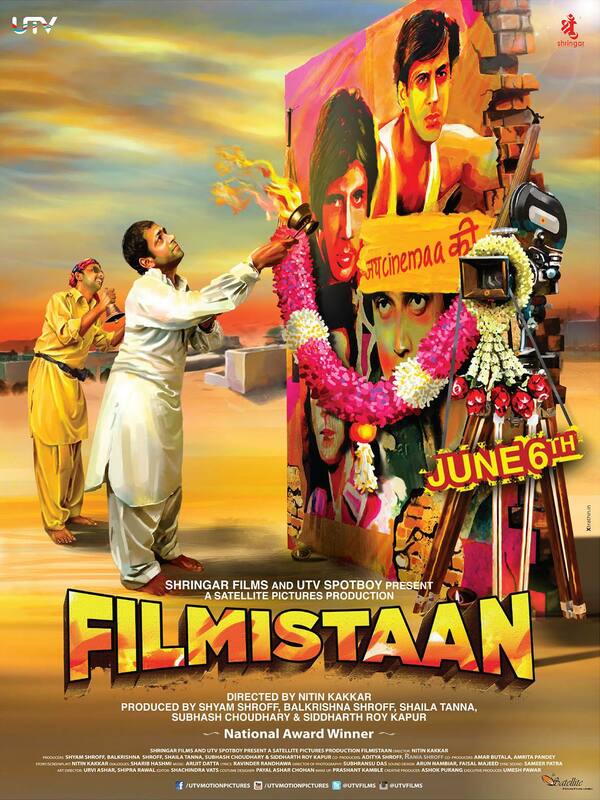 And Filmistaan succeeds exceptionally well here and manages to win the hearts of the audience. Sunny (Sharib Hashmi) is a struggling actor who wants to make it big in Bollywood. To keep his finances going, he joins a foreigner on a documentary shooting expedition on the outskirts of Rajasthan. But to his bad luck, some men across the border kidnap him, mistaking him to be the foreigner, and Sunny paaji from Amritsar lands in a village in Pakistan. But then he finds so many similarities between their culture and ours that he manages to win the hearts of the villagers and befriends Aftaab (Inamulhaq), who pirates Bollywood DVD’s across the border for a livelihood. Soon a bond develops between the two that puts even Jai-Veeru to shame! Filmistaan, for many reasons isn’t just a film. It’s one of those rare pieces of work where you genuinely feel that there is meaning in every scene. The best I remember is when the kidnappers are asked to shoot Sunny’s abduction video and they are unaware of the way to handle a camera, Sunny takes up the responsibility of shooting his own video and also frames it like a professional cinematographer would do. There couldn’t be a better scene to define the passion of the director which comes alive in this scene. Another highlight of the film is also its exceptionally brilliant writing. The story, not for once, gets into a digressing zone and stays with the characters and the dialogues (Sharib Hashmi) strike a punch. From imitating actors to calling himself a no-one, Sharib’s performance is also to be credited for the success of Filmistaan. For many who don’t know, Sharib Hashmi is the same guy who played Shahrukh Khan’s friend in ‘Jab Tak Hai Jaan’. His character of Sunny is wittily funny, deeply emotional. He is equally supported well by Inamulhaq who as Aftab does a commendable job as the Pakistani pirated DVD seller who sets an example of the Indo-Pak friendship as Sunny and him connect with movies. First time director Nitin Kakkar does a brilliant job executing a script with supreme maturity and conviction and manages to bowl one over with his direction skills. While he surely has taken a risk working with a star-cast, not that well-known, the risk has paid off exceptionally well. Final Verdict: Filmistaan is a perfect example of a message of peace and suggests that there are no boundaries attached to cinema. 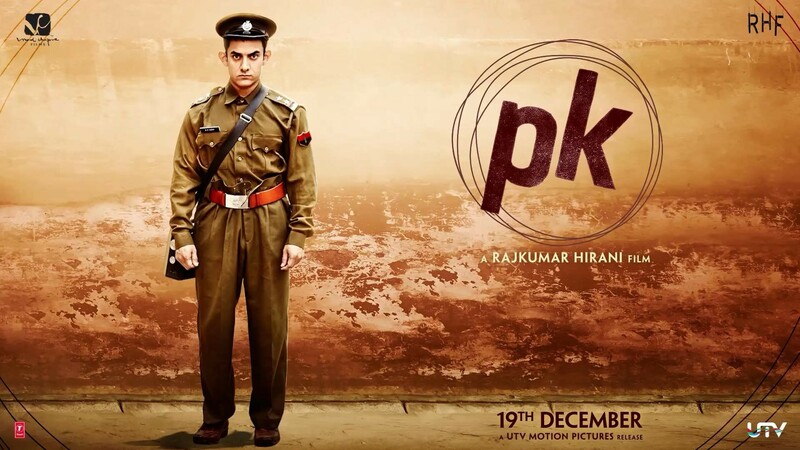 With the ‘Aman Ki Aasha’ initiative, it can just be said the ‘Filmistaan’ is ‘the’ film that deeply connects with the issue. This is one rare film that thoroughly must be watched. Not just for the comical relief it gives but for the sheer meaning and message it delivers!